For the connection of unvented (pressurized) water heaters in accordance with DIN 1988. Certified by DVGW and acoustic approval class 1. 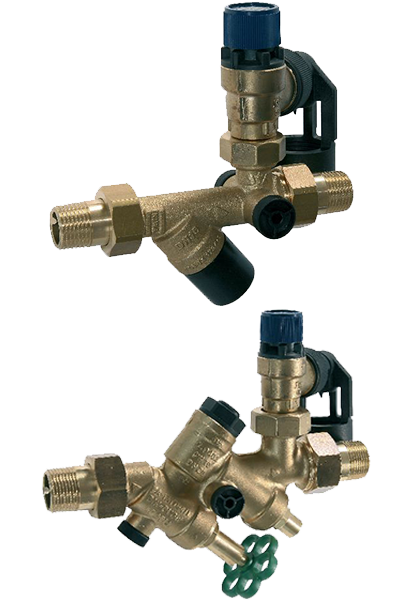 Includes a shut-off valve, a check valve with test device, a second shut-off valve (DN 20), a diaphragm pressure relief valve with a stainless steel valve seat and an extendable tundish. Body made of hot-pressed brass. Standard settings 6, 8 and 10 bar.